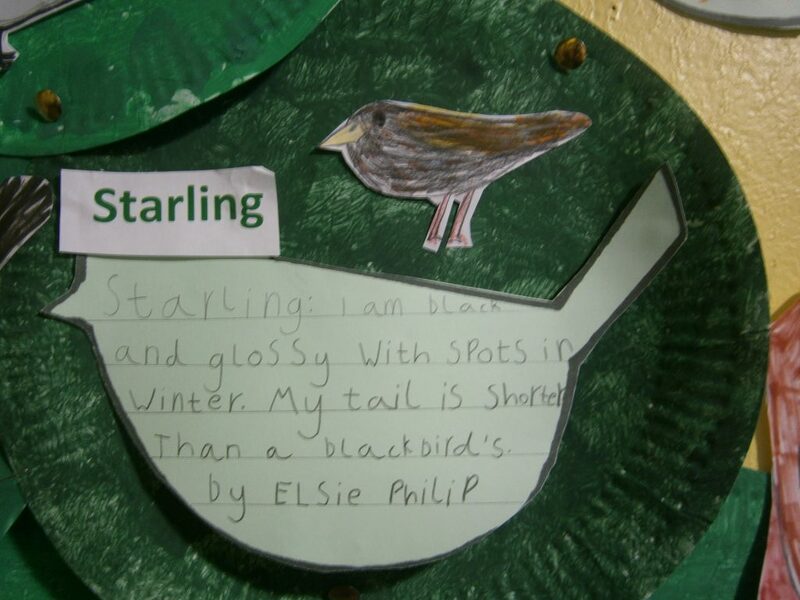 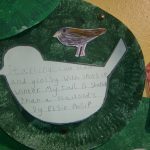 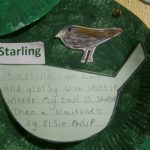 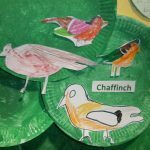 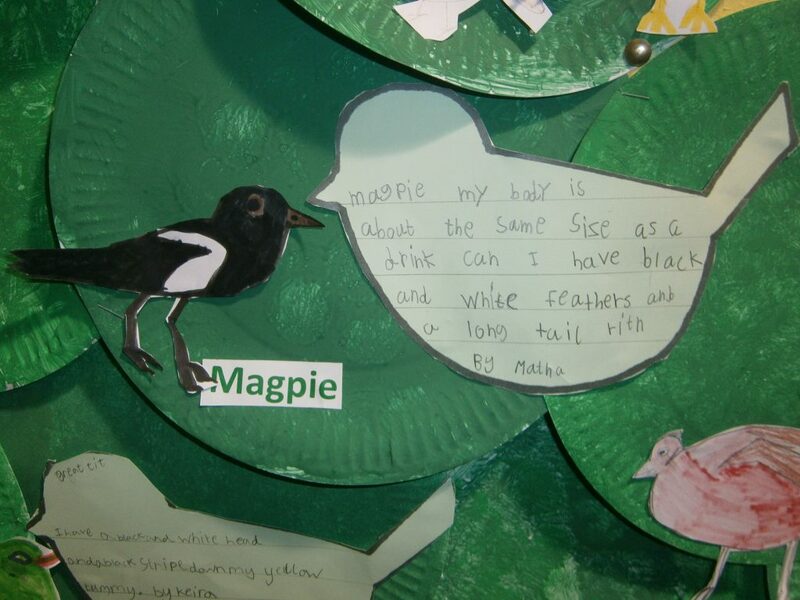 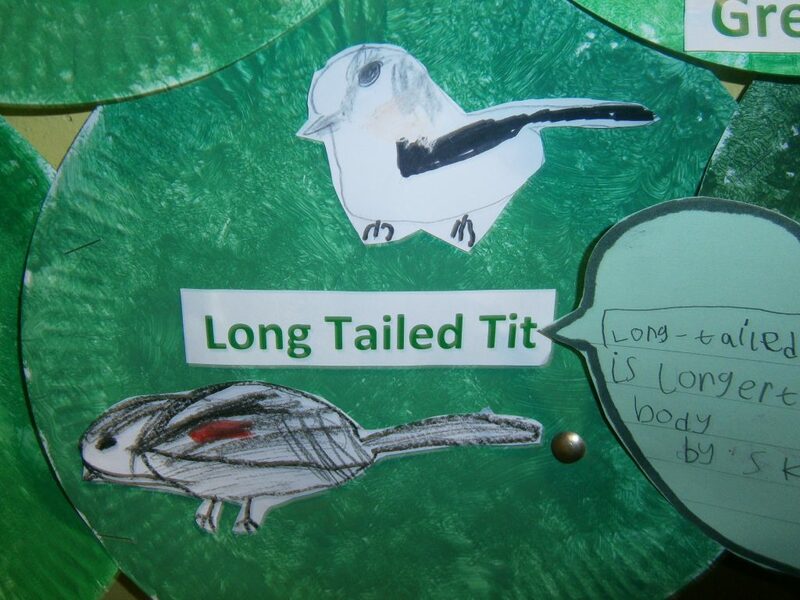 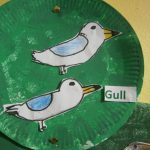 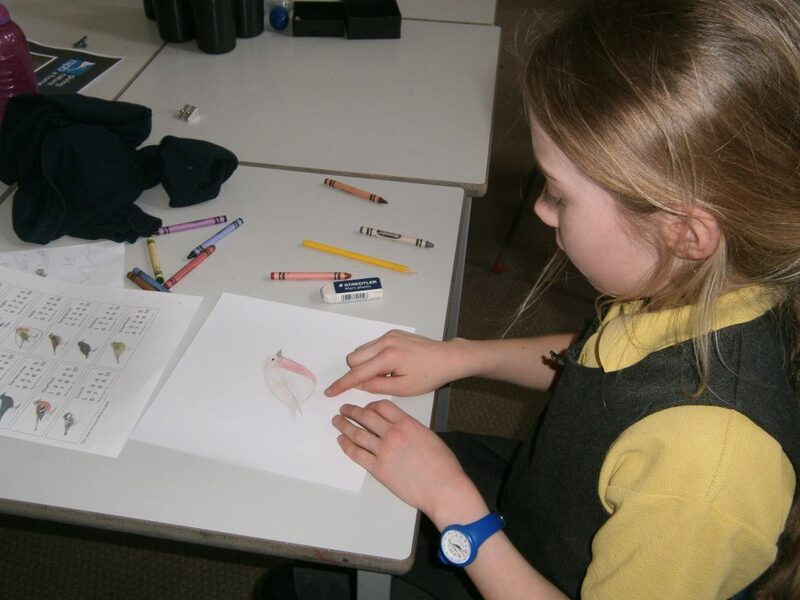 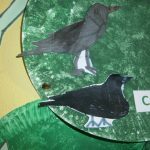 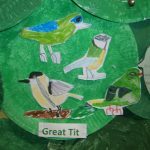 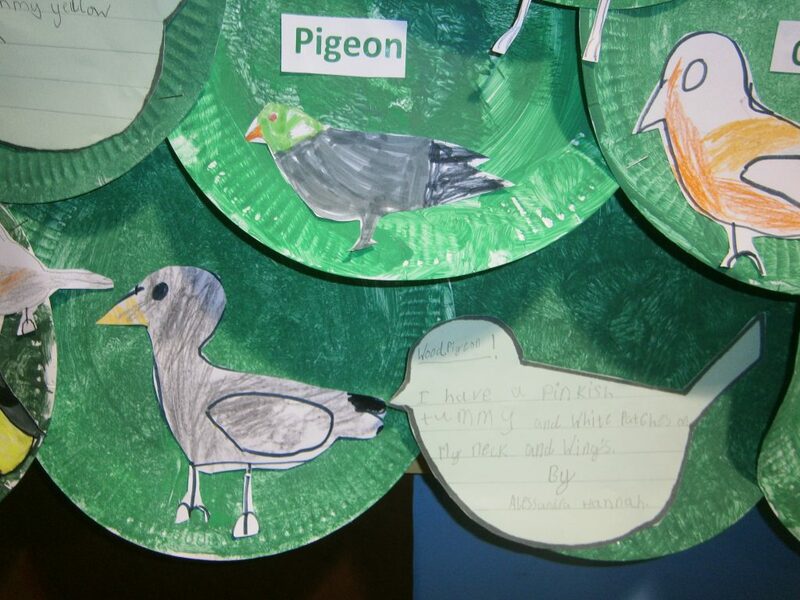 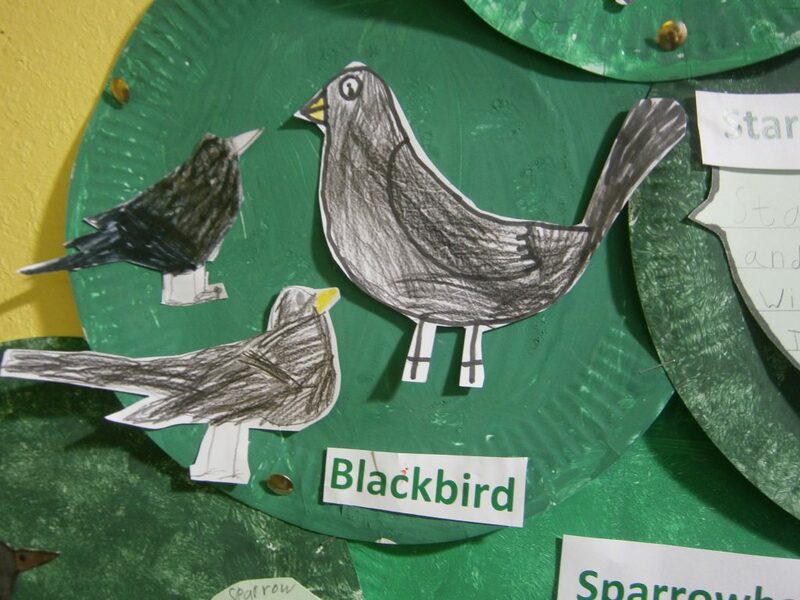 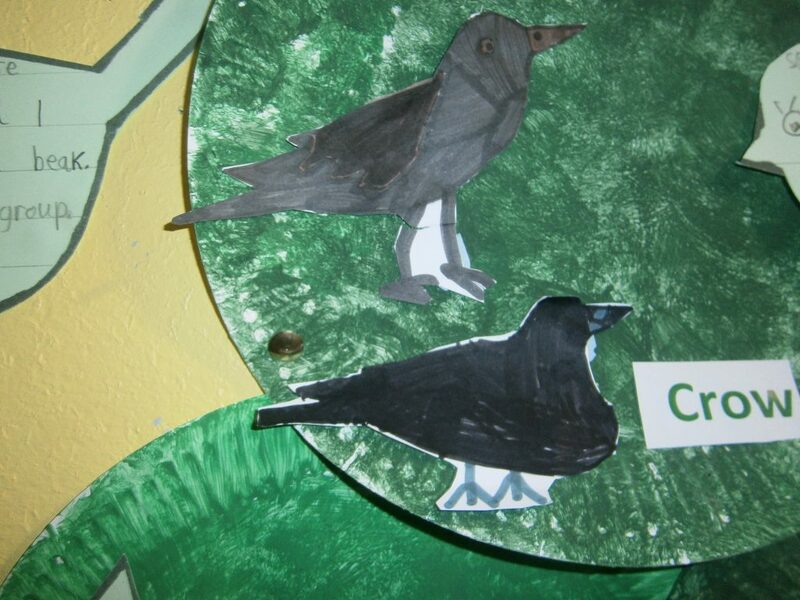 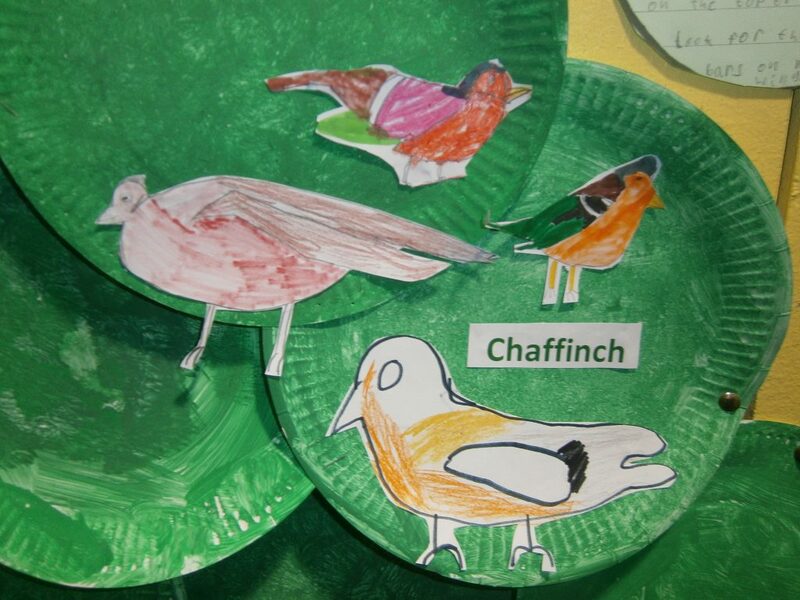 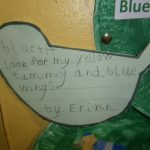 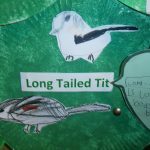 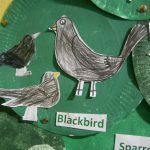 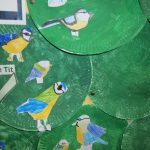 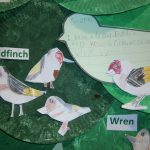 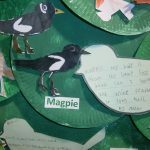 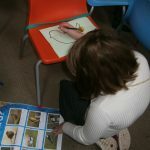 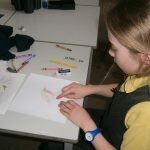 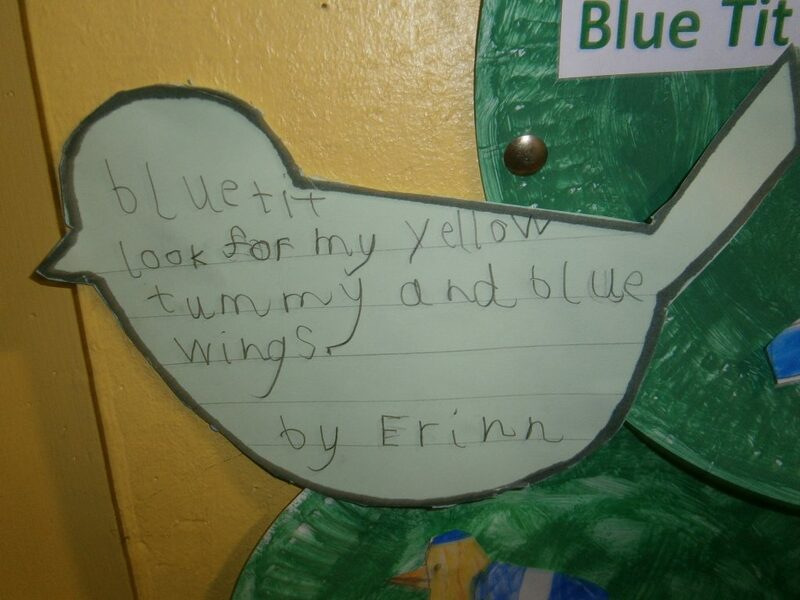 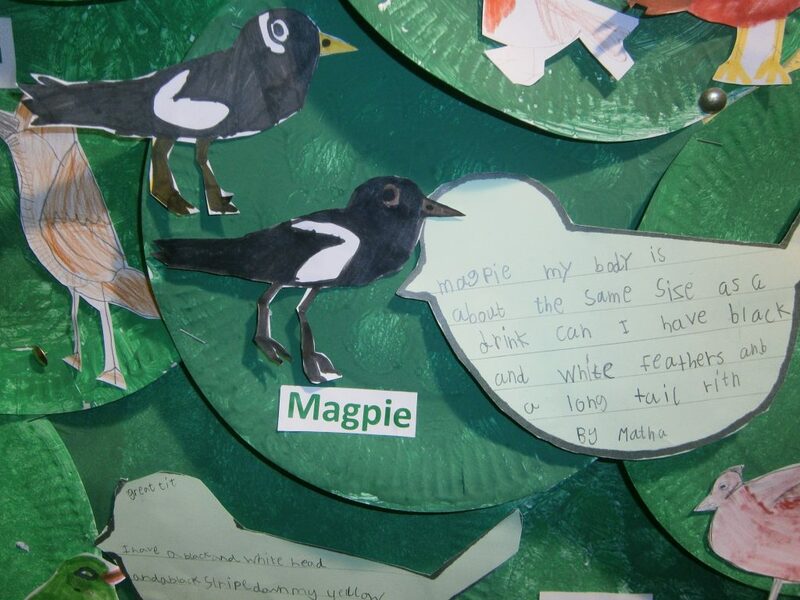 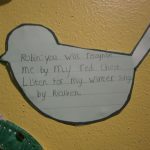 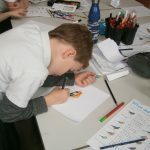 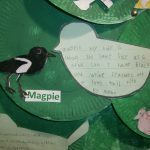 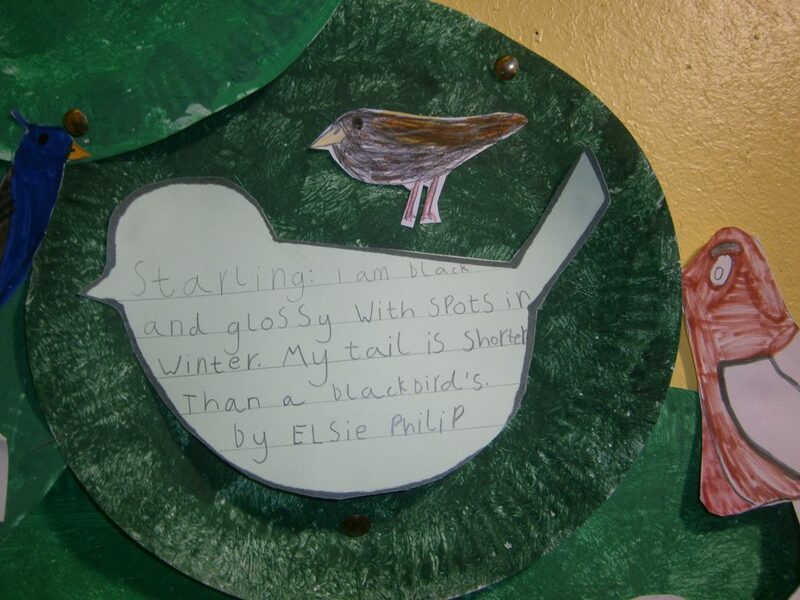 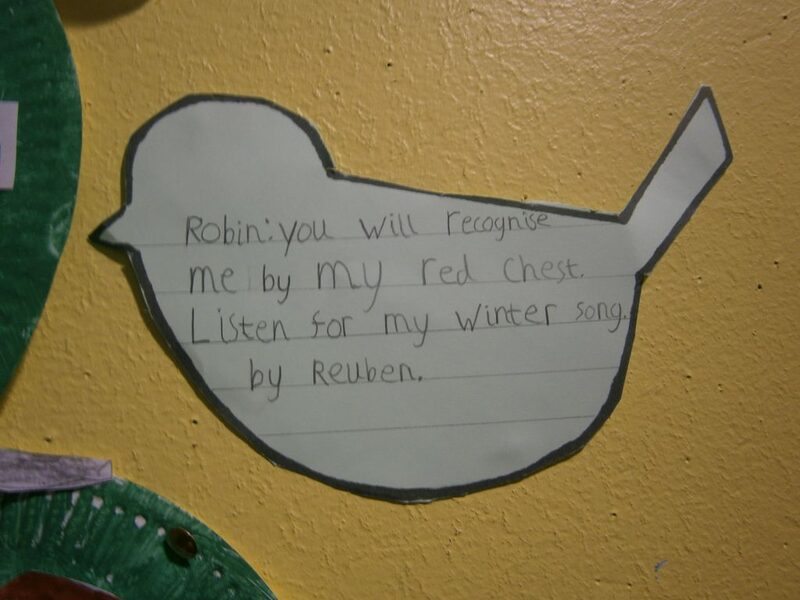 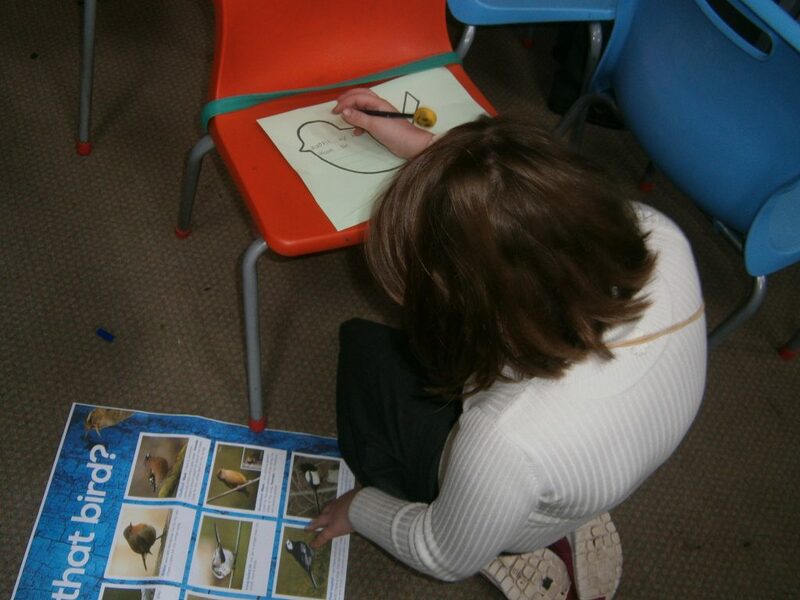 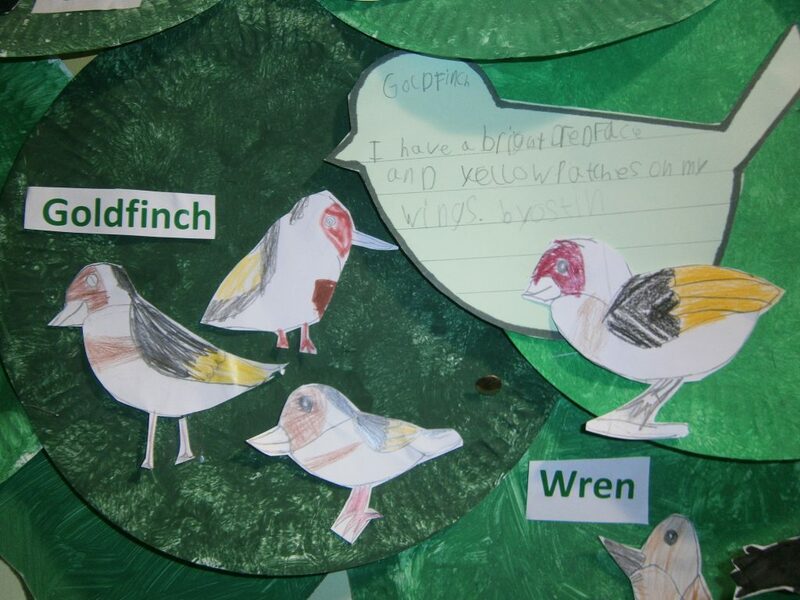 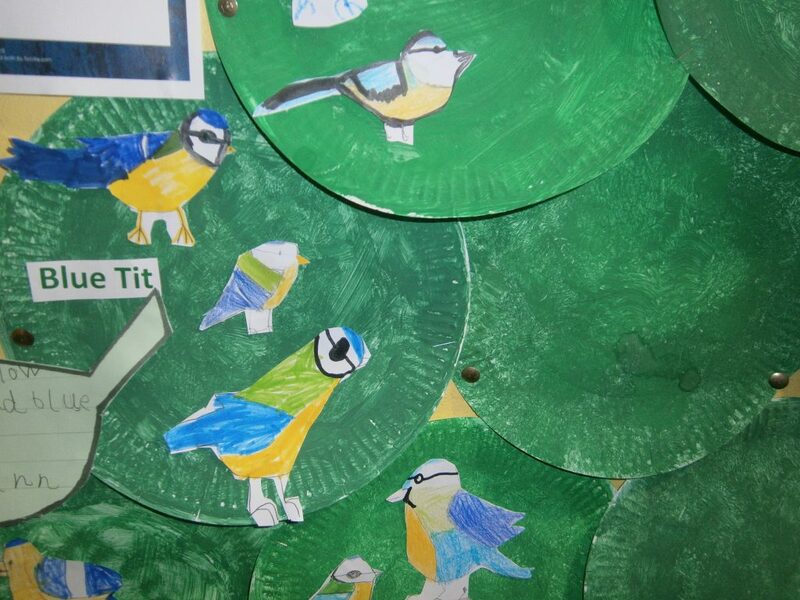 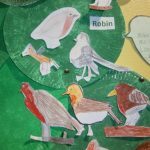 After taking part in the RSPB Big Birdwatch P3 have been finding out more about local birds. 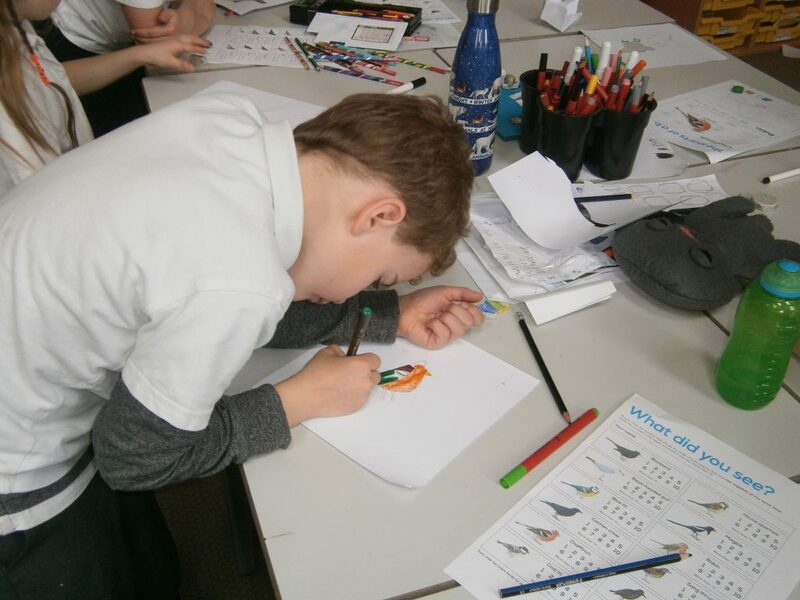 We have been learning about the different parts of birds, looking at the variety of colours in their feathers and learning some facts about them. 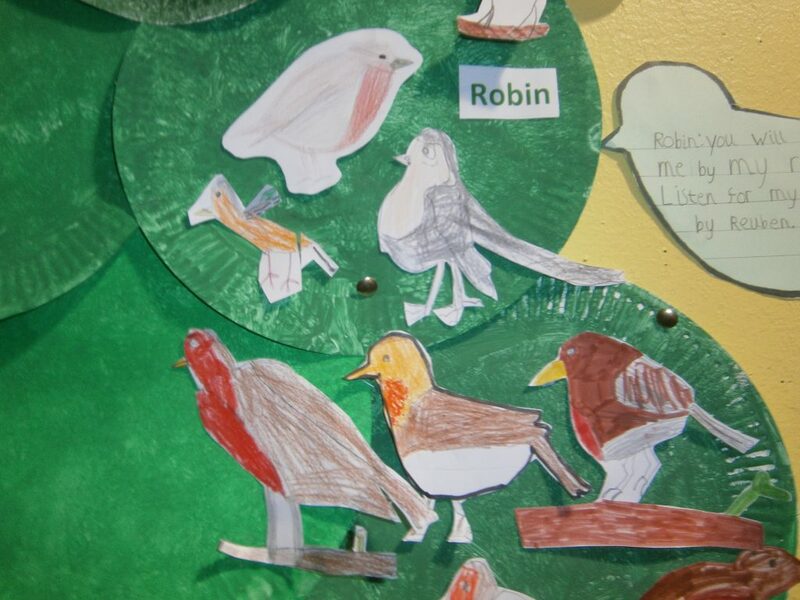 We created some detailed line drawings of the birds we had seen and wrote little fact files about them. 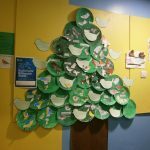 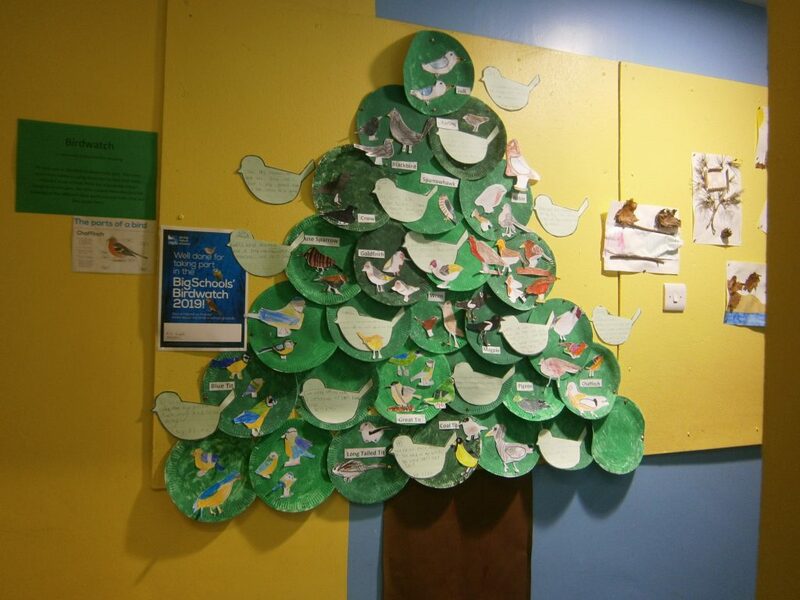 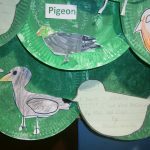 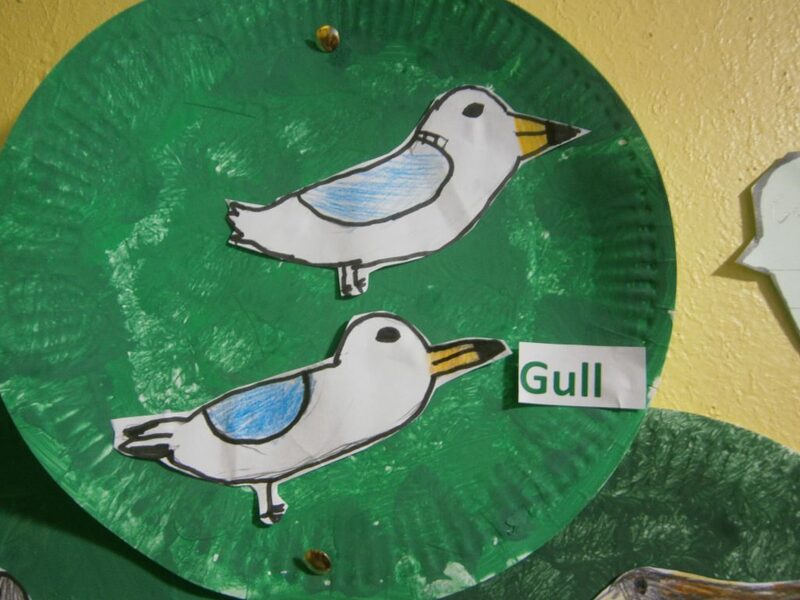 We then put them on display in our paper plate tree for everyone to enjoy.